“Are you sure?” the waitress asked, suddenly looking very worried. It’s not like I was ordering fugu, the daring delicacy that recently hospitalized five men in Japan. All I asked for was Hoy Tod, a staple of street food in Thailand that some people call the most popular dish in Bangkok, but which can be difficult to find stateside. 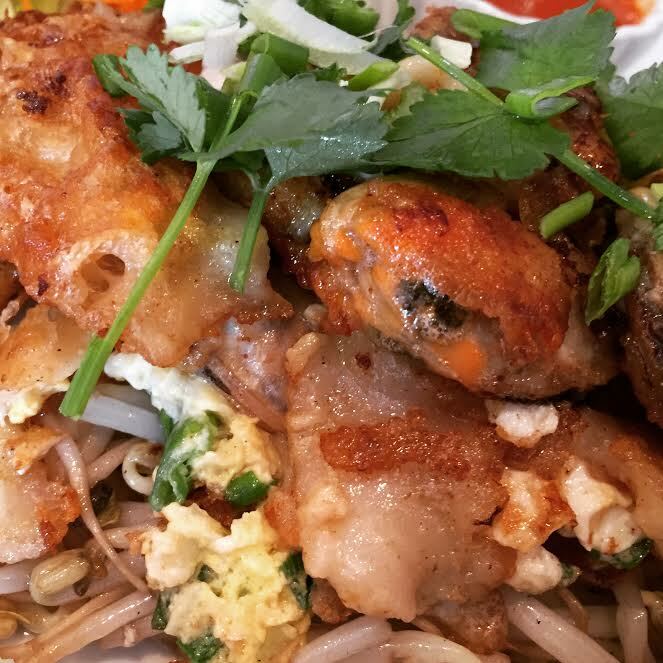 A special this week at Thai Cuisine and Noodle House, it is a pancake-like omelet of battered fried mussels (or oysters) served atop bean sprouts. 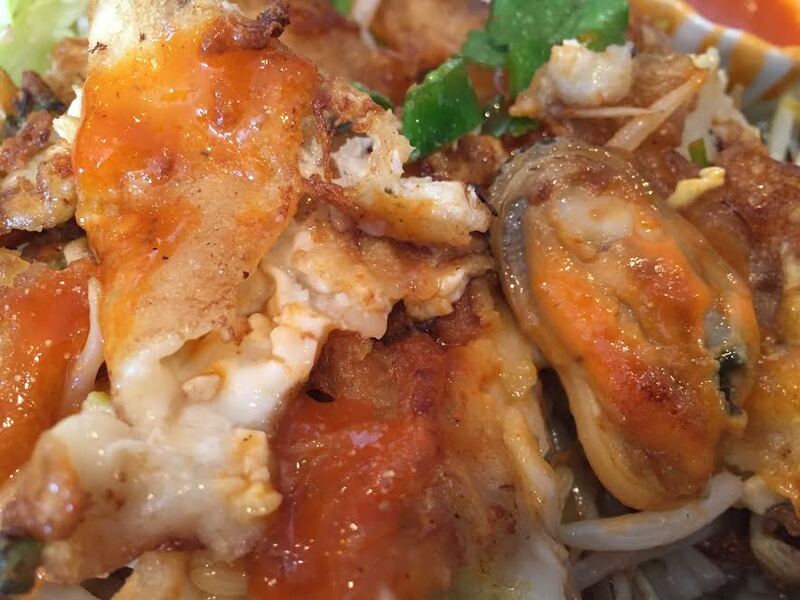 As with many Thai dishes, customers can tailor the flavor to their tastes, in this case by adding as much as they’d like of the Thai-style sriracha with which it is traditionally served. I like to flood mine with it. A shaker of pepper allows even more custom-spicing. As I devoured the dish, I was struck by its similarity to a popular bar food here in the states: Buffalo chicken wings. Standing in for the fried chicken are meaty and greasy battered mussels. While, the vinegary sriracha offsets all of the grease with heat and tang similar to traditional Buffalo sauce. And finally, like stalks of celery do for wings, the cooling and crunchy bean sprouts provide contrast.